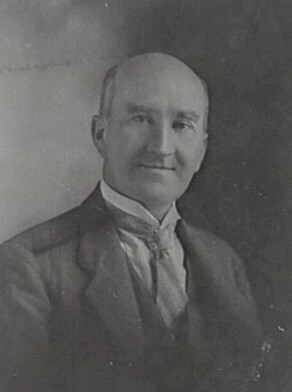 William James Clapham was born in Sydney in 1882, son of Edward Clapham and his wife Emma, née Shaw. He was married to Muriel Adelaide Romand (d.1971) in Sydney in 1915 and had two daughters. He died at Sydney on 5 March 1945. William James Clapham was a barber and lived in East Sydney. From at least 1923, William Clapham, JP, was living at 104 Cathedral Street. Clapham was Alderman for Denison Ward, 1 December 1924 to 31 December 1927. He was a member of the Finance Committee, 1925-27; the Works Committee, 1925-27 and vice-chairman of the Health and By-Laws Committee in 1927.